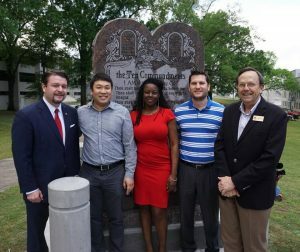 From Left: State Senator Jason Rapert (R-Bigelow), and Family Council staff members Ken Yang, Charisse Dean, Luke McCoy, and Jerry Cox. 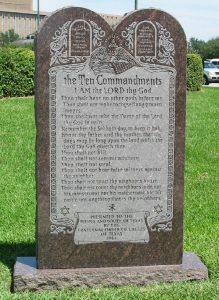 Today Arkansas’ new Ten Commandments monument was unveiled on the Capitol lawn in Little Rock. The legislature authorized the privately funded monument in 2015, and construction was completed last year. However, less than 24 hours after the initial monument was unveiled, it was destroyed when a man plowed a car into it. The replacement monument includes concrete bollards to prevent similar incidents in the future. Meanwhile, several groups continue to oppose the Ten Commandments monument. The ACLU has promised to sue the state to have the monument removed — even though the U.S. Supreme Court ruled an identical monument constitutional in Texas nearly thirteen years ago — and the leader of the Satanic Temple was present before today’s unveiling ceremony, along with several protesters. 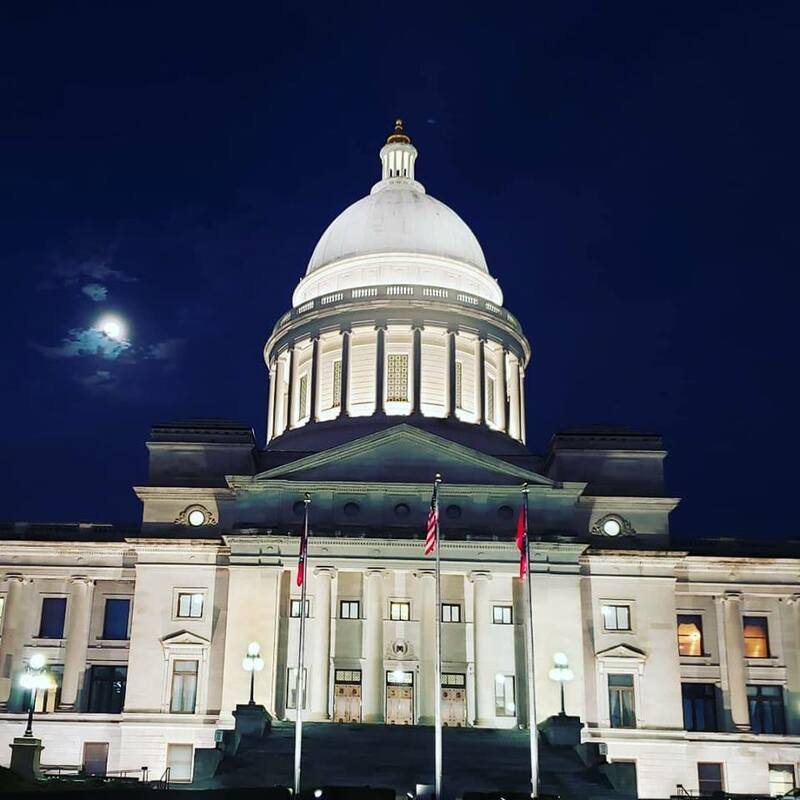 Yesterday Arkansas’ Capitol Arts and Grounds Commission approved a monument of the Ten Commandments for placement on the Capitol Building grounds. The approval was a formality; the monument is established by a law the legislature passed in 2015. The monument will be privately paid for. It is based on a monument ruled constitutional in Texas. The monument celebrates the influence and legacy of the Ten Commandments in western law. It could be placed on the Capitol grounds sometime next month.